Google Adwords allow advertisers to display links to their websites on Google search results. This include links to the homepages of their webpages, which is quite difficult to achieve using natural SEO methods. The links will be displayed in premium ads (in some cases among the top results of Google). The Adwords program directly runs directly on Google and optionally on third party websites integrating the Google Search Engine. 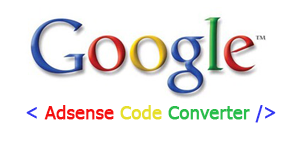 Google will charge you for every click generated by your ad(s) at a predefined rate. This auction system is known as Cost Per Click (CPC). The ads with the highest CPC appear above the others. You will need to set maximum daily budget for your campaign beforehand and once this budget is reached your ad will automatically disappear from the Google's pages. Create the ad and define the keywords. To monitor your campaign, you must associate your Adwords account with Google Analytics. You can manage multiple ads from your account and as such you will need to define daily budget for each of your campaign. The "Automatic Bid" option may be useful when starting with Adwords as all the rates are recommended by Google. Most of the people are always confused, why they should use PPC Advertising using theGoogle Adwords for marketing. The main reason is that it is really a large platform for business promotions and also helps in showing positive results in very less time span. Even I have hired a PPC team and they are doing great job.